Crunchyroll - FEATURE: Found in Translation - The Death of Superman in "My Hero Academia"
FEATURE: Found in Translation - The Death of Superman in "My Hero Academia"
What will happen when Superman dies? The relationship between Deku and All Might forms the emotional core of this series. Even when we learn that All Might is more fallible than he seems at first glance, he remains an admirable man who takes his role as the world’s symbol of peace seriously. He may struggle to live up to an impossible ideal, but he will not shirk his responsibilities. 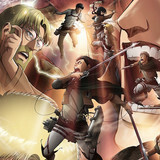 Even if he cannot function as a superhero forever, he lives for something larger than himself. 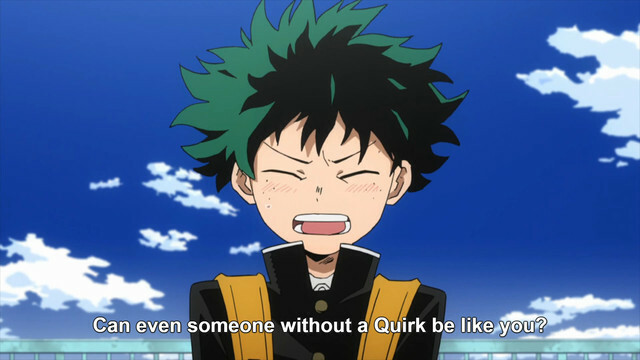 That is why Deku finds him so inspiring. My Hero Academia makes no effort to hide its American comic book influences. 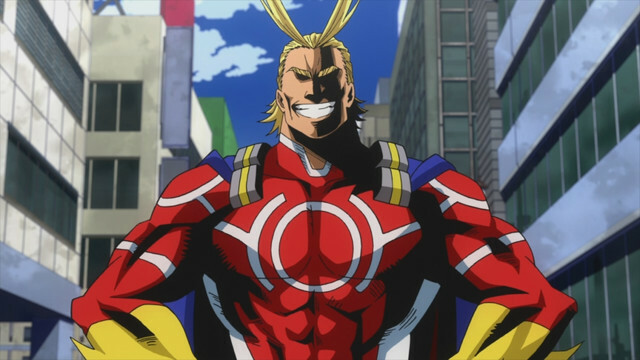 From his muscle-bound appearance to his super strength, All Might is very obviously inspired by Superman. 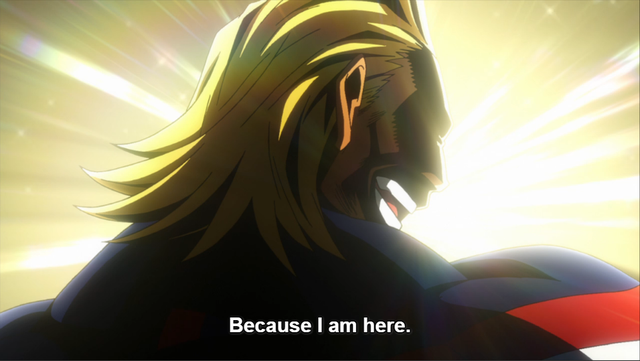 As if to accentuate the Man of Steel’s American origins, All Might constantly displays Americanisms for the benefit of the show’s Japanese audience. Not only are All Might’s attack moves named after American states (“Texas Smash!”), he even swears in English. 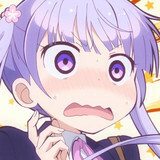 Holy shitto! But MHA has a deeper connection with American comic book heroes than just visual homages—if All Might represents Superman, then My Hero Academia is a story about the inevitable death of Superman. Not a literal death, one would hope. All Might has had close brushes with death before, but he always manages to save the day with a smile. That is what it means to be a Hero. But he will retire from this role one day, and when that time comes, he will continue to smile. I’m not the only one to see All Might’s impending retirement as a metaphor for the “death” of Superman. Manga critic Ryo Imamura wrote that he reads My Hero Academia every week with sweaty palms, anticipating All Might’s death. For him, the possibility of Superman dying is what makes My Hero Academia interesting, because it will accomplish something that American comics have failed to do, having turned Superman into such an immortal figure. Of course, MHA is far from the only graphic novel that deals with Superman’s death in a metaphorical or literal manner, although the handling of this theme has been far from consistent. Notoriously, Superman was killed off in the 1992 comic The Death of Superman, only to be revived several months later in the most ridiculous circumstances. Thematically, MHA has more in common with Grant Morrison and Frank Quitely’s All-Star Superman, a wistful story about a dying Superman who decides to fulfill his lifelong dreams in the time he has left. But even if Superman dies in one story, he will always return in another iteration, ridding his death of any sense of permanence. 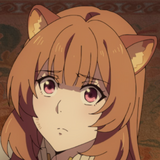 MHA, on the other hand, is under no such constraints with its characters. The series has structured itself around the "death" of All Might right from the very beginning. It is for this reason that All Might’s situation carries such strong pathos, especially when he continues to push himself beyond his limits. All Might is only delaying the inevitable, and everyone close to him knows it. This is all surprisingly heavy stuff for a Shonen Jump manga, and no one is more aware of it than the manga artist of My Hero Academia himself. Kohei Horikoshi has remarked in an interview that MHA is not actually a cheerful story when it comes to the relationship between Deku and All Might. It gets darker the more you think about it. In order to let someone else succeed him, All Might must let his own strength dwindle away. In that sense, Deku is responsible for his hero’s death. This is a burden that Deku must shoulder for as long as he carries the mantle of justice. But Deku is also a shining hope. As a member of the younger generation, he brims with potential. If All Might is a hero of the Superman variety, then Deku is more like Spiderman, an ordinary boy who accepts a heavy responsibility overnight and grows up because of it. It’s fitting that Bakugo, Deku’s childhood friend who now bullies him relentlessly, constantly calls him a “damn nerd,” taking extra care to say “nerd” in English, as if the parallels between Deku and Peter Parker weren’t strong enough. It’s probably no surprise that Horikoshi is a huge fan of Spiderman and counts Sam Raimi’s Spiderman trilogy among his longtime favorite superhero films. 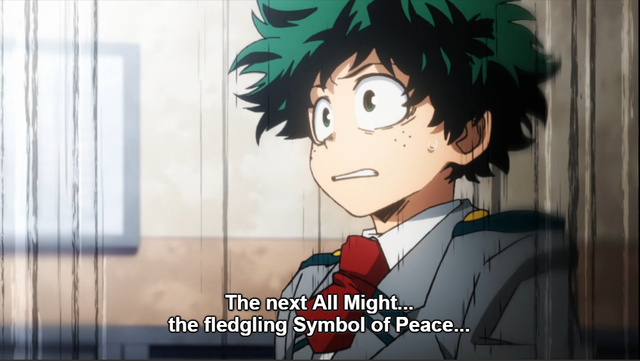 What makes Deku’s journey as a character particularly compelling is that he doesn’t actually fully grasp the weight on his shoulders as All Might’s successor. He’s earnest, diligent, and straightforward—the kind of hero that is easy to root for. 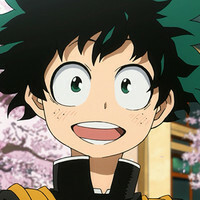 It has become popular in Hollywood these days to reinterpret superhero properties with a darker and edgier slant, but Deku’s optimism is never shaken. In that sense, he follows in the tradition of Shonen Jump’s most iconic heroes. I find My Hero Academia’s approach to superheroes refreshing. The original Superman was first born in the 1930s, and since then, his character has been reimagined in countless different ways as the political climate surrounding him has changed. These days, it seems that the problems of this world have become too difficult for a straightforward and old-fashioned hero like Superman to solve. A story about the death of Superman could easily have been bogged down with angst or cynicism. Yet for all the pathos in All Might’s character, My Hero Academia is never pessimistic about the future. Even if all the villains of today are too much for All Might to handle by himself, he is confident that the younger generation will rise to meet the challenge. 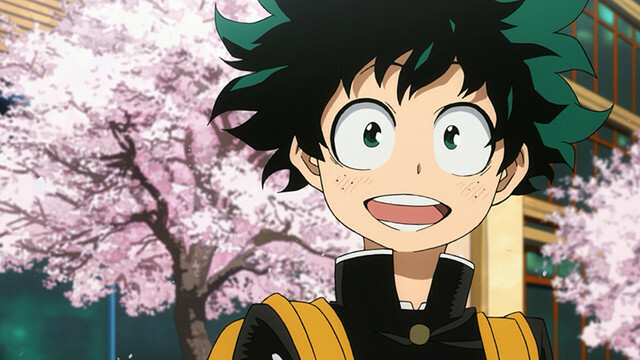 Deku and his classmates may still have a long way to go, but they have already grown impressively through the events of season 1 and will only improve further as this season unfolds. And until the day comes when the fledgling heroes can surpass All Might, he will continue to lead as a strong example, so that they never lose sight of their ideals. It may be time for Superman to pass on his torch, but it is not yet time for us to give up on Superman. In My Hero Academia, at least, we can rest assured that even after the death of Superman, heroes will live on. 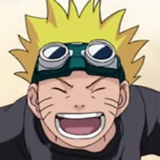 FEATURE: Found in Translation - The Spirit of Change in "Boruto"